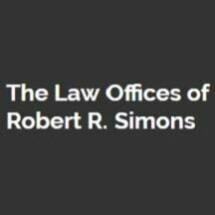 Located in Haddon Heights, New Jersey, attorney Robert R. Simons of the Law Offices of Robert R. Simons provides experienced defense for individuals facing a wide range of criminal charges including, Drug Crimes, Assault and Weapon Offenses, theft offenses, and Motor Vehicle and DUI offenses. For the past 24 years Robert R. Simons has acquired a vast knowledge of New Jersey and Pennsylvania criminal laws and procedures as well as valuable negotiation and courtroom skills. Robert Simons started out as a prosecutor for the Camden County Prosecutor’s office, where he rotated through units including Criminal Trial Team, Juvenile Law, Grand Jury, and Search and Seizure. Mr. Simons tried one of the first murder cases in Southern New Jersey including DNA evidence. Robert Simons has also been a Search and Seizure instructor at the Police Academy. Seven years later he began his criminal defense practice opening the Law Offices of Robert R. Simons in 1997. He has extensive experience with New Jersey Drug Court program, as well as an extensive knowledge of local prosecutors, judges and attorneys. His reputation, experience, and high ethical standards as a lawyer in the field of Criminal Defense has earned him Certification by the New Jersey Supreme Court as a Criminal Trial Attorney, a certification received by only 3% of attorneys who achieved the highest levels of knowledge and skill in a particular legal field. Robert R. Simons is also admitted to the United States Supreme Court. Along with Criminal Defense, The Law Office of Robert R. Simons also handles Personal Injury matters including, Automobile Accidents, Slip and Falls, Product Liability and Dog Bites.